This Buddha Bowl is a nourishing meal that contains little bit of everything to make you feel balanced and at peace. Buddha Bowls are all about different veggies, in just the right amounts to nourish our body. Balance is key! 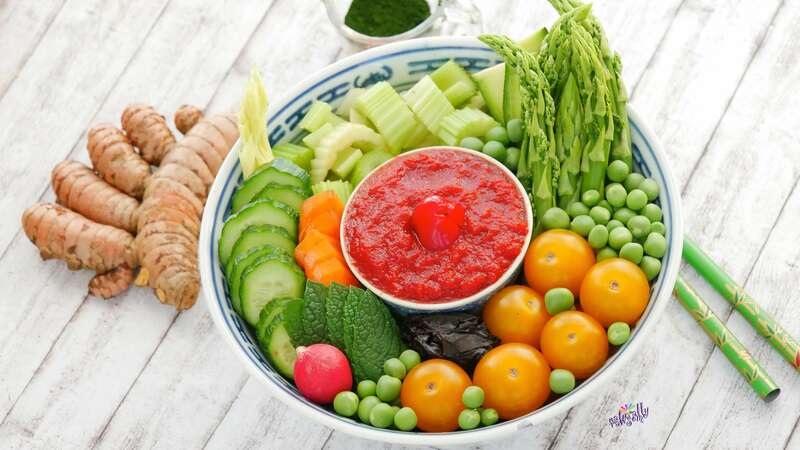 Chop up cucumber, celery stalks, carrot and asparagus and add it all into a bowl. For the dip/dressing blend up all ingredients until smooth and pour it into a dipping bowl. Serve the veggies with the dip or drizzle it over the veggies and toss it all up.